After discussing the different categories Pew publish results explaining which categories of political typology approve of which issues. All of the political categories want the Keystone Pipeline built except for the solid liberals which by the description (partisan and liberal across the board) is most probably where President Obama fits in. While most groups prioritize developing alternative sources of energy over the expanded production of oil, coal and natural gas, the Keystone XL pipeline is broadly supported. 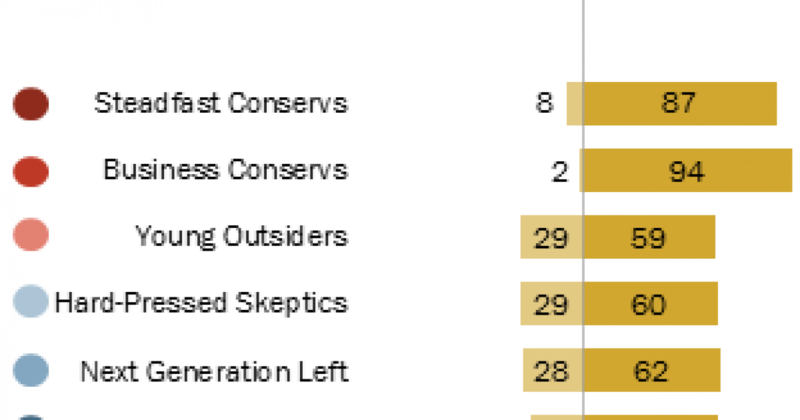 Six of the seven typology groups support building the Keystone XL pipeline, including the Next Generation Left, which has pro-environmental views on most measures. oppose construction of the pipeline. the Next Generation Left (62%) support building the Keystone pipeline. Somewhat smaller majorities of Young Outsiders (59%), Hard-Pressed Skeptics (60%), the Faith and Family Left (60%) and the Next Generation Left (62%) support building the Keystone pipeline. Of course most polls, not just Pew, show a large segment of Americans want the pipeline built. It’s not unusual for polls to show overwhelming support for Keystone. We’ve seen that for years. What the new poll shows is that even left-leaning voters who see themselves as environmentally conscious, pro-wind and pro-solar don’t believe that Keystone runs contrary to that ultimate goal.